The World Cosplay Summit (WCS) is an annual cosplay event promoting friendly international exchange through Japanese pop culture. Starting in 2003 with only a handful of countries, it has since grown to include countries from all over the globe. Otakuthon brought the WCS to Canada in 2014 with its winners participating as an observer nation in 2015. Canada was then promoted to full participating nation status in 2016. The winners of the WCS Canada Competition at Otakuthon 2018 will go on to represent Canadian cosplay and compete against cosplayers from 34 other countries for the chance at the title of Grand Champion of the 2019 WCS Championship in Japan! a description of their presentation by Friday, July 6, 2018. Winners will be announced on Sunday, August 5, 2018, at 12-12:30PM, location TBA. Only teams of two (2) people are permitted to enter. Teams are NOT allowed to bring their own helpers or stage ninjas on stage with them. We will be allowing twelve (12) teams to participate. This is subject to change. Winners of the 2018 WCS Canada Competition will represent Canada in the 2019 WCS Championship in Japan. 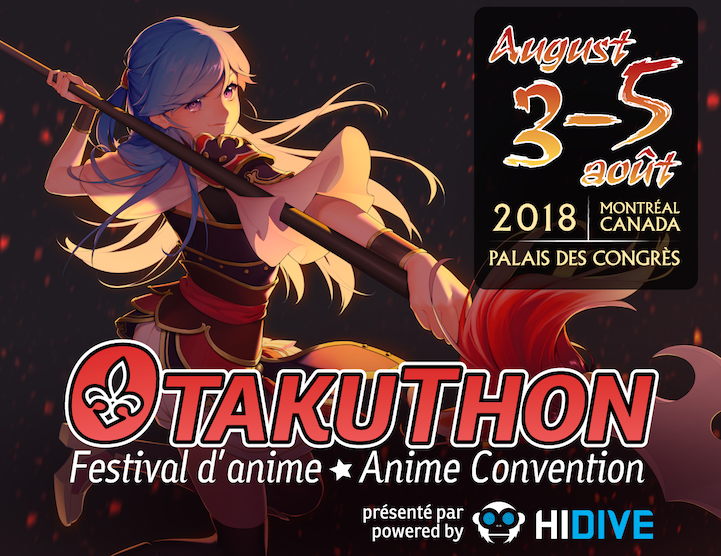 Each team member must be a registered attendee of Otakuthon. You will be asked to present your badge (or proof of registration) when you arrive for the competition. Each team member must be at least 18 years of age on July 1, 2019. Each team member must either be a citizen or permanent resident of Canada possessing a valid passport or permanent resident card. Each team member must be eligible to travel to Japan during the months of July and August 2019, and must possess a valid passport for that period of time. No team member may have participated in another country's preliminaries nor finals for the 2018 WCS Championship in Japan. No team member may have judged another country's preliminaries nor finals for the 2018 WCS Championship in Japan. No team member may have been a member of Team Canada in the previous year. Example: Members of Team Canada for the 2017 WCS Championship in Japan may not compete again until the competition for the 2019 WCS Championship in Japan. Costumes are to be constructed by the entrants. Assembling a costume from store-bought pieces is not allowed. Costumes worn by the team must be for characters from the same source material. 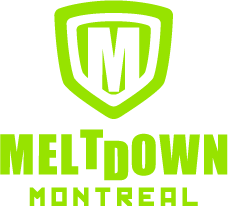 Teams must abide by the Otakuthon Convention Rules and Weapon Policy. All props need to be self-contained. Items which require external power sources are not permitted. The use of any convention property as a prop will also not be permitted. It is not permitted to use unrelated trademarked illustrations or logos on equipment or props. When in doubt, contact wcs@otakuthon.com with images of the costume in question. NEW for 2018: Teams are required to attend large prop drop off and stage prop set up on Saturday, August 4, 2018, from 9AM-12PM. If you do not attend, there will not be time available to set up your stage props. The performance time limit is 2 minutes 30 seconds. Only the two team members are allowed on stage during the presentation. Stage ninjas are NOT allowed to participate in any way during the performance. Stage ninjas will be available to place items on the stage prior to the presentation and remove items from the stage after the presentation. In both cases, a maximum of three (3) large stage props where setup and/or removal can each be done in at most 40 seconds is allowed. It is prohibited to enter the audience area as part of the presentation. The use of fire, water, lasers, strobe devices, and smoke-related special effects is prohibited. The act of staining, marking, or damaging the stage, the props or costumes of other competitors is prohibited. All audio used in the presentation must be recorded in advance of the competition. Speaking on the stage is not allowed. Audio must be recorded in a common format such as mp3, wav, or wma. A performance sheet describing what will be performed must be submitted as well. Original voice tracks from the source material are NOT allowed. Audio must be submitted by July 20, 2018. Teams are expected to bring a backup copy to the event in the form of a CD and/or USB device. Resume information, such as cosplay alias, photos, experiences, etc., may be used for press. Real names and personal contact information will be kept private. If you want to use your real name for press, please note this in your submission. Media such as TV programs, websites, newspapers, magazines, etc., may use photos and images of the Canadian Finals. By submitting your resume, you agree that no compensation will be provided should your likeness be used. After the World Cosplay Summit Canada, all media, including but not limited to images, photographs, footage, programs broadcast, DVDs, etc., of the contestants will become property of the WCS Canada organizational team and Otakuthon. No compensation will be provided should your likeness be used. All cancellations must be made at least 72 hours prior to the competition. Failure to do so will result in exclusion from the following year's competition. Alternates must be listed on the resume submission and cannot be changed after the fact. If no alternate is specified on the resume and one member has to step down, the team must withdraw from the competition. If the alternate competes as a team member and the team wins, the original partner who stepped down may no longer participate further in that competition year. Exceptions may be made in the case of a medical emergency. For costume construction judging, teams will have a total of ten (10) minutes. Teams will have five (5) minutes to present their costumes to the judges. The judges will then have five (5) minutes to ask questions. NOTE: Because teams are required to prepare PowerPoint presentations with progress photos for the WCS Championship in Japan, teams participating in the WCS Canada Competition are also required to do so. New for 2018: In addition to the costume and performance components, there will be a short interview portion as part of the WCS Canada Competition. While WCS is a stage competition, Team Canada, like all other participating teams, will also be acting as national “cosplay ambassadors” who may meet important members of Japanese corporations and government, as well as be interviewed by Japanese and other participating nations’ media. Participating teams in the WCS Canada Competition will be provided with a complete list of possible questions in advance of the convention. At the convention during the scheduled interview slot, the teams will be asked a few of these questions to evaluate how the team responds. NOTE: Because the official languages of the WCS Championship in Japan are English and Japanese, the interviews will be performed in English. That said, the level of English fluency is not a factor, only how the teams present themselves.